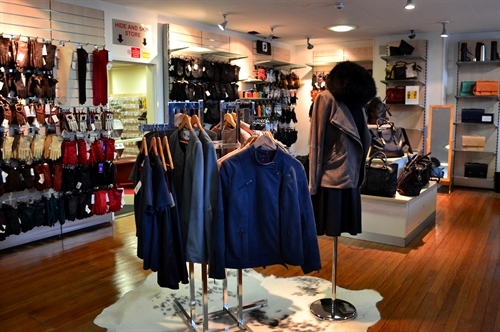 Pittards store in Yeovil is a secret West Country resource for all things leather - including jackets, handbags, gloves and accessories such as wallets and purses. A showcase for Pittards luxury England Collection bags and clothing, you will also find the full range of Daines & Hathaway classic leathergoods. Looking for leather for that special craft project? 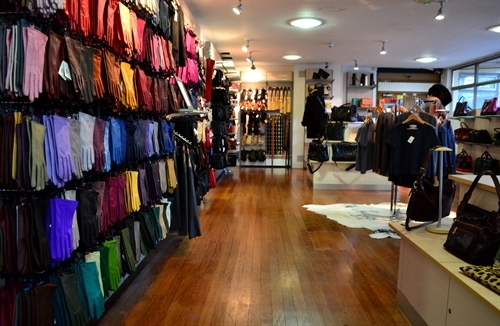 Pittards leather warehouse carries a wide selection of hides, skins and small leather pieces, many in unique colours, prints or special effects. Best of all, there are factory shopping bargains to be found from end of lines and one-off samples to exclusive direct retail offers. Then once you’ve finished shopping, relax in the coffee shop with a slice of locally made cake - and you can take your time because our parking is free. Visit www.pittards.com for the full range of Pittards England and Daines & Hathaway products as well as a wide selection of leather skins and hides. We are open Monday – Friday between 8.30am and 5.00pm, and Saturday between 10am and 4pm. Parking is free.